Sharp and modern floor lamp designed by Massimo Castagna for Gallotti & Radice's new collections. 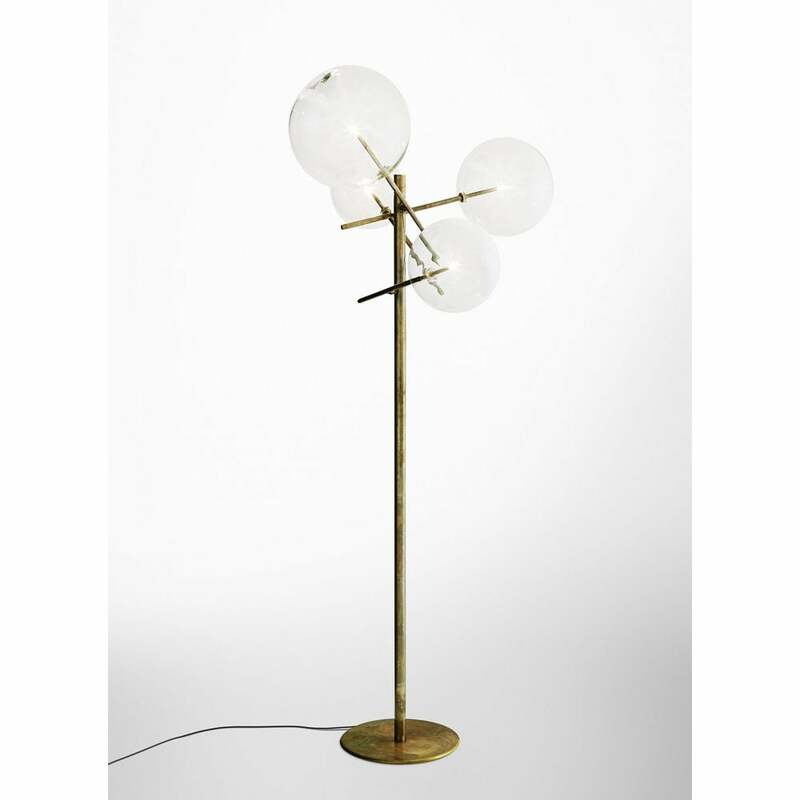 The Bolle has four glass spheres held on a hand burnished brass frame. The hand burnished brass finish looks naturally spotted and irregular. Due to this craft made processing, each product is unique and exclusive. Dimmable light.